Made with compression molded fiberglass with polyester resin construction, these trays wont absorb liquids or oxidize like aluminum trays. 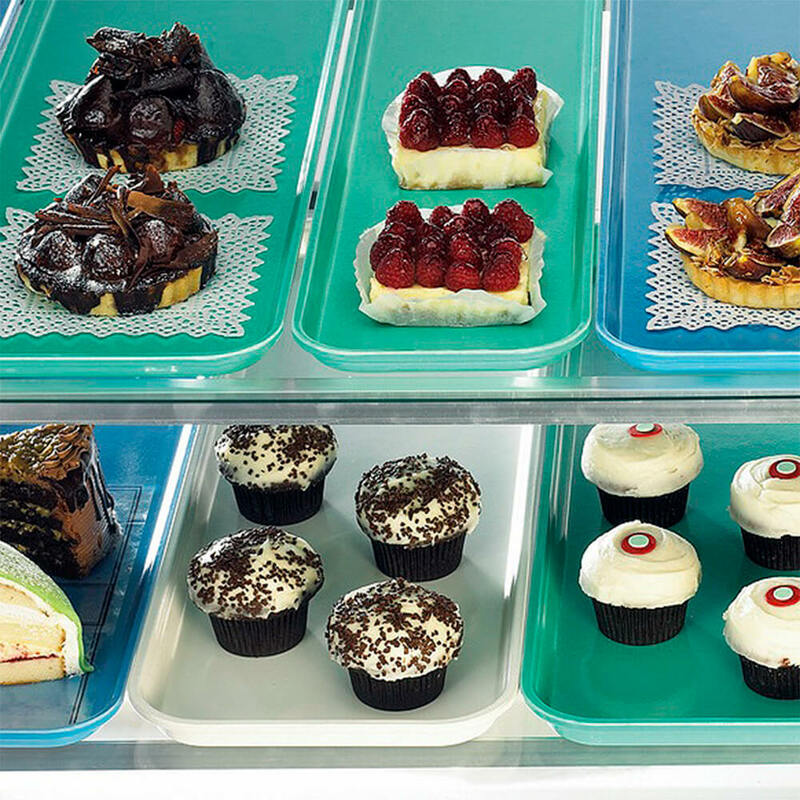 Attractively merchandise salads, desserts, hors doeuvres, pastries and other food items in bakeries, supermarkets and delis. Interchangeably sized so two small trays occupy the same area as a large tray. 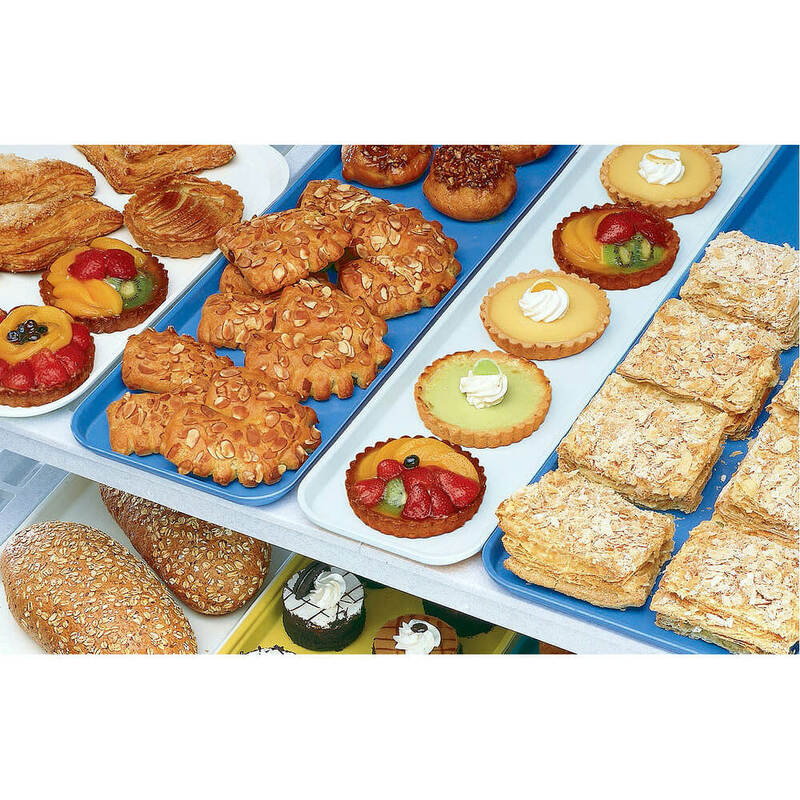 See Similar Products in: Deli / Bakery Tray, 10" X 15"
Attractively merchandise salads, desserts, hors d'oeuvres, pastries and other food items in bakeries, supermarkets and delis. 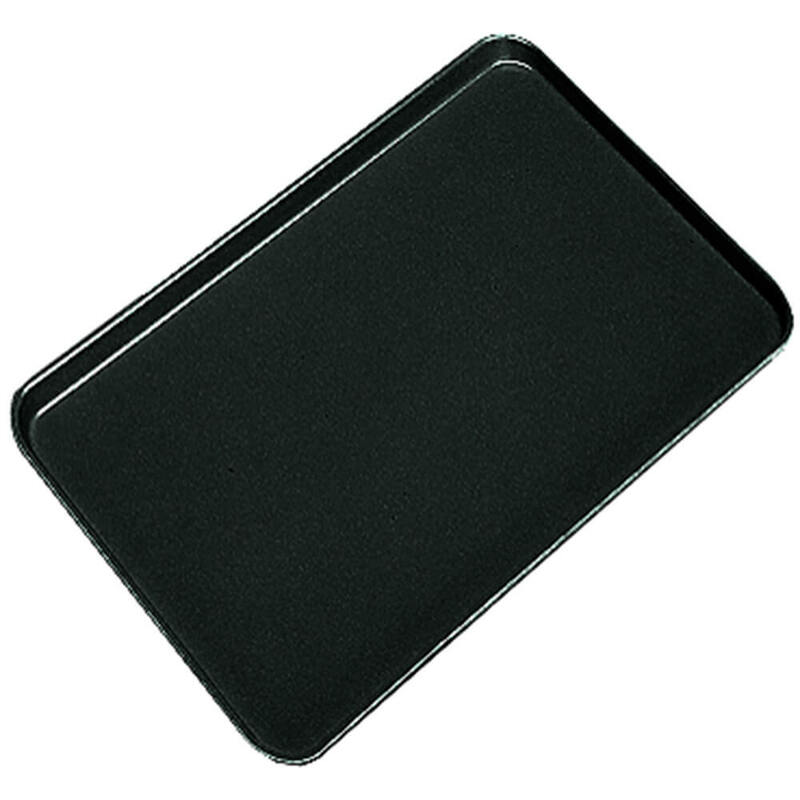 Made with compression molded fiberglass with polyester resin construction, these trays won't absorb liquids or oxidize like aluminum trays. Interchangeably sized so two small trays occupy the same area as a large tray. Offers a variety of display arrangements within a given area. Excellent for storage and refrigeration. Special order item not carried in stock, non-returnable. One case order minimum. Size:10-1/8" x 15" x 3/4"